For those of you with curls, you know how important understanding and caring for your curls is. When you have a little one with curly hair, you might find yourself responsible for caring for their locks. Until they get old enough to care for curls on their own, little ones rely on their parents for help and guidance. 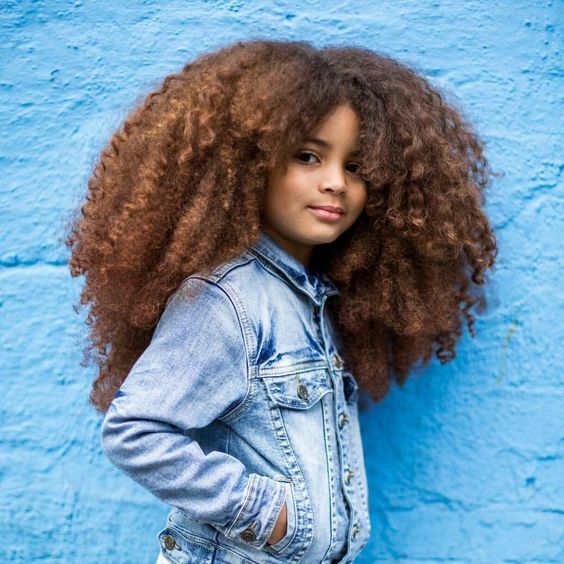 It's important that you understand how to care for their curls, so you can help them stay healthy. Kids will learn from you, so starting with good pre-pooing habits will make it much easier for them later on. What to do: Before shampooing your little's curls, you're going to want to pre-poo. A pre-poo treatments can help strengthen, moisturize and condition curls before cleansing. Use a natural ingredient like coconut, olive or avocado oil. When preparing hair for cleansing, coat your fingers and hands in the oil, which make curls more manageable. Once curls are loose, apply a generous amount of oil throughout. Section the curls into 6 sections to ensure all areas get reached. Once curls and scalp are completely covered, cover with a plastic cap and allow to sit for up to 60 minutes. Hot oil: This is also a great time to consider using a hot oil treatment to help smooth dry curls. Prepare the curls with a natural oil as described above. Before applying the oil, warm it in the microwave. The oil should be warm enough to penetrate the curl's cuticle but not so hot as to burn yourself or your little. Once the oil is a good temperature, apply it throughout curls, twist into sections and allow it to sit under a plastic cap. Essential oils: If you're feeling as though the pre-poo treatment could use an extra boost, you can add essential oils. Some good choices are rosemary, peppermint and tea tree. Put your regular, melted oil into a bowl, and then add 4-5 drops (depending on how much hair your little has) in, mixing until incorporated. Apply as mentioned above.